Well, we’re officially in one of my two favorite months of the year and so far, the first three days have been a doozy. Am I right or am I right or am I right? I am getting close to knowing someone with a birthday on each and every day of this wonderful month. I don’t have children but if I ever get to that phase of my life, I’m going to wonder what is so special about the 9 months prior to May because it is baby and birthday explosion come May 1. I got my Facebook notification on Sunday night that told me I know six people on Facebook alone with birthdays in the first week. My special day is 5-5, a very symmetrical birthday. I’m all about symmetry. Heck, this blog began on 8-8-08, incidentally. I have a cousin with my same birthday and I have met probably ten others who also share the May 5 birthday. Today is my dear friend Meg’s birthday and I know at least twelve more people with birthdays this month. I even know people with birthdays on the 6th, 7th, and 8th. It’s crazy! Have I said the word birthday enough? May is the month of Taurus and Gemini. That’s right, I went there. I also am completely discounting the “new” astrology system because the 13th sign sounds ridiculous. I know it doesn’t change my sign because of the year but I still find it lame (as at least half the population does about astrology in general). I have a soft spot for astrology. I like figuring out which signs are supposed to be compatible with which and I have this book called The Secret Language of Birthdays which is a really cool personality profile based on everyone’s actual birth-day. Just saying, if you’re into this, this is a must-have book. Aside from May being Birthday Month Extravaganza, it is also the month with Memorial Day and kicks off travel season. I am visiting a dear friend in Seattle for over five days at the end of the month and I am completely through and through stoked about it. I’ve only been to the Pacific Northwest once for vacation when I was a teenager and I was in Vancouver ten years ago but I have never explored the fine metropolis of Seattle. So Original Starbucks here I come! I may not have mentioned my passion for coffee mugs, though I know I’ve talked about my being a coffee snob. I have an array of Starbucks mugs from various cities I’ve visited and I’m actually kind of excited to add to the collection. I had a fabulous mug from Paris from 2004 when I was there and it survived the trip back, and even many moves within New York City, but it was no match for Kevin, who accidentally broke it in my last New York apartment. I went to find a replacement and they were selling on eBay for like, $90 or something. C’est ridicule, ca! So yeah, that’s long gone. I’ll have to stick with Stateside mugs. * C’est la vie. Any travel plans (or anything particularly exciting) this month? How many people do you know celebrating a May b-day? *Edit: I received a replacement Paris mug that was, in fact, purchased for an obscene amount of money, and it happily sits in my kitchen cabinet with all of the other mugs I have amassed. I will TOTALLY take a mug from Switzerland! Better yet, I want to come there and buy it personally! Haha. May is a month I get slammed in, too. I have my mother and father’s birthday two days apart, Mother’s Day falls right in betweent them usually, their anniversary, and then we just back June up into May and make it an all inclusive with Father’s Day to get it all covered. DEFINITELY not my favorite month of the year, but it is the long awaited month for a three day weekend – Memorial Day Weekend – for people (like myself) who don’t get the other holidays between Christmas/New Years and now. Yeah, I love that three day weekend! Says summer is on its way. I almost feel like I have to save up for May/June gifts as much as I do Christmas. No kidding! The cycle of Gift Giving is fun, albeit expensive. Something about August and procreation – it’s crazy! Great post. May is also Mothers Day, and sometimes my mother’s birthday falls on that day! And in June it’s Fathers Day, and depends how the calendar rolls, my father’s birthday lands on Fathers Day. FOr me the most birthdays come in October-December. Those three months just kill the pocket book. Great post and congrats on Freshly Pressed. May was always known as Birthday Month in my mom’s family. My aunt is 5/11, my next-eldest cousin was 5/19, I’m 5/20, and my next-youngest cousin is 5/22. Almost my whole life us three cousins shared a birthday party. After the oldest passed away a few years ago, it’s been really too painful to continue the joint festivities. Birthday Month indeed, David. I think it’s wonderful you were able to celebrate so heartily for many years. Thank you for stopping by to comment! I know quite a few people who celebrates their birthday in the month of May. Thanks for stopping by, Lakia! Hiya ZOE. My Bday is the 20th and my other half’s is the 10th. 5 other firnds are in May. I’m surprised we ever get anything done with all the pigheadedness going round! My pleaseure. I love writing but I love reading even more! Your May is my November. Congrats on being Freshly Pressed! Thank you very much! November could be tricky if a birthday was around Thanksgiving, or if it depletes holiday spending money. I literally know one person with a November birthday. Let’s see…9 months before May is August, the only U.S month without a major Holiday. …Could it be that boredom sets in on those August nights? haha. Great post, and congrats on being freshly pressed. I think you’re right, Katelyn! What else to do? Thanks for stopping by to comment! I don’t care about why it happened, but May has been a brilliant month to have a birthday. (Mine is the 20th, if anybody is interested). The lady who lives opposite me was born on the very same day as me , although we only found that out about 5 years ago. My son’s Godson (it’s complicated) has his birthday on the 23rd, and he is very fond of reminding me “When it’s your birthday, it will be only 3 days to MY birthday”. He will be 7 so his birthday is more significant than my birthday. A very happy MONTH to all those with May birthdays. Oh yes, it’s birthday month! Mine, my dad’s, my cousin, my auntie, my dad’s cousin, and one, two, three, four, five, no — six friends, and my BFF’s wedding anniversary….something about August…what fun! I love your WP screen name! I’m so glad someone finally commented on The Secret Language of Birthdays because it really is an amazing book. And how anyone doesn’t love coffee mugs is beyond me. I guess you have to like coffee or a solid hot beverage. Thanks for commenting! Whose dont love summer? 🙂 Congrats on being Freshly Pressed! So true! My dad, my cousin and I share the same birthday. A good chunk of my friends are in May too. I wouldn’t complain so much if it weren’t for the fact that my pocket feels the pinch when I buy presents and pay at restaurants. That really takes a lot out of a college student. I totally know what you mean. I’ve just finished paying off Christmas and I gotta dig back in to find birthday present money! Since the getstational period is actually a bit longer than 9 months exact, May birthdays were conceived in the second half of July into the first half of August, assuming full term and not early or late. It has to be boredome. OR the lask of any major events on the calendar means less stress and couples are in a more romantic or just frisky mood as a result. count me in: May 10! Happy birthday Taurus! Happy belated to you, as well! Happy Birthday! (for like a week ago!) May is the BEST month for birthdays 😉 mine is on the 27th (just about a Gemini) and my Uncle’s is the 23rd. If you count back 9 months from my birthday you get the last week of the long summer holidays here, which makes sense as both my parents are teachers!! Haha, I love it! Thanks for coming by and commenting. I went to your site a little bit ago and will definitely be commenting because I can SO relate to your job plight! May holds the birthdays of my sister, her best friend, my aunt, grandma, a friend, mom’s friend’s daughter, my friends who are twins, and many more…. Oh my gosh! I think you have me beat, Julia. Interestingly, May babies always know at least a dozen other May babies. Ack! Yes! May 6 is a supremely popular day. I know two others with that one, personally! Happy belated! The only May birthday in my family is my Daughter’s on May 16. She turns 10 this year. You lucked out! May 16 – great birthday. 🙂 Thanks for stopping by! So, so true, mine is today!!! long live Taurus!!! I’ve always wondered what it is with May birthdays… Mine is the 26th of this month (turning 21!) as well as a classmate I had for 14 years. Plus at least a dozen or more people I’ve met throughout my life. I don’t understand this May birthday phenomenon! Summer lovin’! Haha. Happy early birthday – enjoy being 21!! I completely relate to this! I have 3 kids – 6, 8 and 11, all of whom have birthdays in May. One on the 5th, one on the 14th and the other on the 22nd. Needless to say May is a month in which I have NO money whatsoever. Everyone asks me what’s so special about August and I (hilariously) like to tell them that I the only think about it is that I’m always out of the country with work, and allow myself a chuckle. In 2021 our eldest will be 21, the middle one will be 18 and the youngest will be 16. ALL WITHIN THE SPACE OF 3 WEEKS!!! I’ve started saving already. Awww your oldest shares my birthday, as well! At least you’re shedding some light on “Why so many May birthdays?” haha. Thank you for stopping by to read and comment! I hope your savings plan works! Happy early birthday! I find that May FLIES by. I am trying to slow down and enjoy it, amongst all the birthday celebration of course. Another Cinco de Mayo baby! my birthday was May 9th. My mom’s birthay is May 29th 🙂 I made my OWN birthday cake this year! Love May, thanks for sharing. Happy slightly belated! I didn’t get cake this year but as I will be visiting Seattle in a couple of weeks, I will be certain to enjoy some treats. Thanks for reading! But for me there are just not birthdays, but marriage anniversaries of parents and relatives also. I know, May is a wonderful month to get married in! my sons birthday is May 25th! I am a May birthday girl too 🙂 But I always get the feeling that everybody was born in December just around Christmas time. It’s crazy how many people I know being born in winter! I agree! People in February/March must have the winter blues. And then come Christmas, baby time! May 21! Most recently, I enjoyed several years with a group of friends in Indiana, and there were SIX of us with May birthdays. We started planning our own birthday bash every may, and it was great fun – all the other months were so jealous! I bet they were! I love when people can celebrate big like that. I know some people. Me! on the 15th. My best friend (same age as me) on the 24th, the girl I was in love when I was 18 Nanda on the 10th, the younger brother of my older brother’s friend, same day as me… and another good friend, Cabelus (like Hairs), which I don’t remember the exact day. As far as I know, May really have a bunch of people celebrating birthdays. Thanks so much, Euler! Happy birthdays to all, and to all a good night! Or something. The most beautiful birthday ever in the world is May 29th. It belongs to my ex-fiance Tom who will be 45 years old this year. He was born in 1965. He just seems like a cusp man to me. First of all that he was born in 1965 isn’t that such a highly publicised year. Secondly, that he discreetly popped his birthday in right at the end of the month, but not the “very” end just the 29th. Such and easy date for a girl in love to remember. I just joined a play group for my 3 year old.. and there are at least 4 kids with birthdays this week alone! Happy Belated birthday to you, and congrats on the Freshly Pressed! Yay for May birthdays! Today is mine 😉 That’s awesome you have the symmetrical May 5th bday. You’re going to be broke soon! You have too many friends. it seems! Correction: I am always broke. I wrote a poem about this crazy month of May on my blog. It is also one of my favorite months for sentimental reasons, but it’s a doozie – too much going on all at one time!! More May related birthday madness – my birthday is May 27th, as is my fathers too. What are the chances of that? (And it’s not 365:1, because of leap years). I also know quite a few people with May birthdays, it does have a habit of becoming expensive! Doesn’t it, though? Thanks for commenting! Yes, I’m a Taurus too. And I watch my group of stars when she’s above. We’re said to be multifaceted. I’m most certainly interested in so many things and have been there, done that, and at 76, don’t need a tee shirt to prove it. You can’t miss the huge red star Aldebaran in Taurus. Thank you kindly for taking the time to come by and read and leave your comment! Go Taureans! Does not really matter what I write. By the time my writing has been through the moderator, the page has changed, and so nobody reads it anyhow. That’s a problem, living in this Barbados time zone. Wonderful post. 🙂 Made me a smile, since my birthday is on the 4th of May. My ex-boyfriend’s is on the 17th, my best girl friend’s is on the 19th, and my dad’s is on the 23rd. And tomorrow, I’m celebrating the birthday of another friend of mine. It’s crazy, now that I think about it. 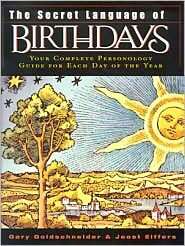 My birthday is on May 31 st.I wonder what that book of yours says about people born on that day.I love birthdays! It says a lot!! Each day’s profile is very in-depth. Check it out! None from my family. But several of my friends and colleagues were born May. Nice blog.. keep it coming. Haha, rehab month, I like that. Happy early birthday! I will have to check out that book. Interesting. May is busy, transitional month: Cinco de Mayo, Mother’s Day, Kentucky Derby, Nurses Day (BTW that is today -Florence Nightingale’s b-day), Graduations galore, Religious Ceremonies, Memorial Day. My SIL, brother and daughter have May birthdays. I remember 05-05 as I was a ped-auto accident in 1965. And BTW you started your blog on my birthday 08-08. So many coincidences, so little time to celebrate. i’m born on may 19!!! Hey, my husband is May 5th also. And my uncle, who has passed on, shared this day. My niece is May 2nd, my mom is May 3rd, a close friend is the 4th, again my husband and uncle are the 5th. I have a coworker on the 6th, my daughter is the 10th, a cousin on the 11th, my nephew is the 14th, and another friend is the 15th. These are just people I know well enough to know their birthdays! Add mothers’ day in there, and it’s a very expensive month! Mine is May 18th. I feel a special connection with those born in May. I know exactly what you mean. May is such an expensive month for me- at least ten May babies in my circle of family and friends! I don’t know what people are drinking in August, but it must be good! I’m definitely going to check out this book now- thanks for featuring it! By the way… it seems a bit unfair that so many weddings and graduations happen in the biggest birthday month, too, doesn’t it? I saved money this Mother’s Day and made my mother a slide show on the computer. Hahaha I love your comment about Comic Sans! I still have no clue why people use it or find it attractive. Great note about the office birthdays. We get a happy birthday email. Happy early birthday! My grandmother is on the 10th, three cousins are in may on the 14th 18th and 24th, along with one of my friends on the 12th! Thanks Kemi! May 1st, great strong Taurean birthday! Haha! Finally found this blog post. I’m 16, my birthday is on September 5. At the end of this month, May, 12 of my classmates will turn 17, gosh! Whattamay! Haha! Interesting read! My birthday is on the 18th while my sister is on the 15th. Combined celebrations, shared expenses…. Haha! Well counting back 9 months, that should be around August and I can’t think of anything special during that month. I believe I was born prematurely [6 months] which makes it November, my mom’s birthday. Quite a bang for her during that month! Heehee! Anyway, the addition of the 13th zodiac sign was indeed ridiculous. I can’t even remember the name nor pronounce and spell it. Cheers to making it to Freshly Pressed! May has always been birthday month in my family too. My mum is on 11th, grandmother is on 31st, great grandmother was on 16th, great uncle and me were/are 20th. Then I have at least nine friends that month as well! Awesome book! May I know what does May 25 mean? 🙂 It’s my Birthday and I want to know. 🙂 Thanks! I will have to get the book out and check but each day goes into a LOT of detail. So true, my bday was on the 11th, by bro’s was on the 2nd, and I have so many friends and relatives who are may born as well. Also agree with ignoring the new 13 star sign thing even though it doesn’t affect mine in any way. What a bunch of rubbish though!! * my bro’s, sorry hehe. Quite lolzy, I read this blog post because I have friend on Facebook who’s Birthday is today and I neer pay attention to Facebook’s Birthday nonsense. My Mom will be 76 May 15th! m turnin 19 this 19th may!! That is sooo true!! I know people who’s birthday’s are on the 2, 19, 23, 24, and 25!! its so hectic!! my allowance is gone by the end of the month! I find people know others in succession. I know more people at the beginning and mid-month versus end of. It’s like a chain reaction! Yep…in our house too…my two daughters, my mother-in-law’s mother, a very good friend, another very good friend, and assorted cousins. I love how your header “Zoe Says” looks like a wrought iron sign between the fence posts. Nice job. Thank you so much! I have been wondering if it was time to change up the header but maybe I’ll keep it up for a little while longer. Thanks for your comments! Today is my Birthday! and I have three Gemini children!!!! Am I a poster child for your blog – or what! Happy days to all of us! Happy Birthday!! You are definitely a poster child. Thanks so much for stopping to comment. May is a great month to have a birthday…although any month is pretty good I guess. The apple trees are in blossom in my garden so the bees are happy. My birthday is in November and I will hit 60 on the 20th. Thanks so much, Kris! I hope it’s a beautiful day over there. It is a beautiful day so I better get off the computer and do something even more useful like painting and decorating or weeding. You have a nice way with words by the way. That’s so sweet, I thank you. Enjoy your weekend! I like Kris’s thought that because it is a nice day they should get off of the computer and so something outside. That inspired me a little bit, but it is supposed to rain here in Vermont tonight and then all weekend. You’ve got an excellent blog one of my favorites to visit. Thank you so much! I can’t wait to try some of the eateries in Seattle, as well. I hope you have a great time celebrating all the birthdays this month! I didn’t realize May was so popular. My birthday is Friday the 13th.